A new start, a new website. I’m hoping this is a place to keep me honest and true about my projects. Starting projects have never been a problem for me. Finishing them is more of the issue. 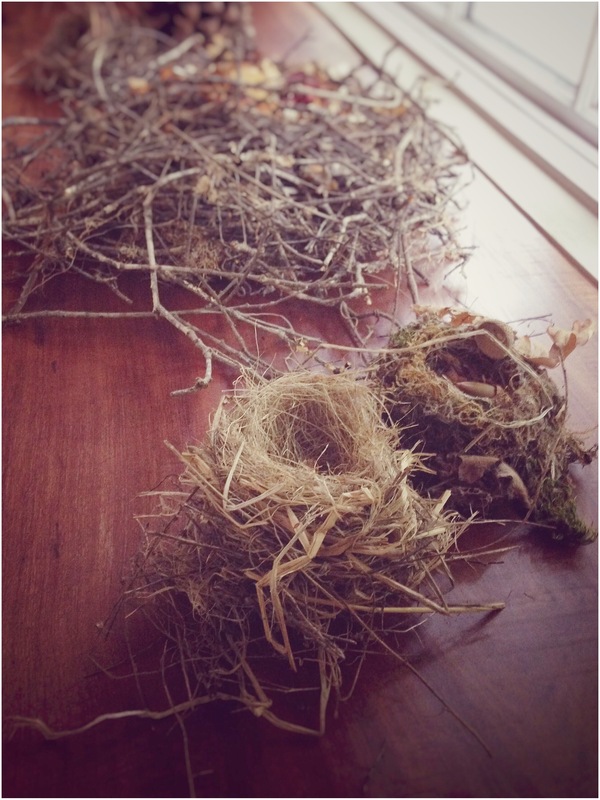 I look at these nests we’ve collected around the house. Birds build and abandon these nests every year. Once the birds are done rearing their young, the nests are abandoned and picked up by me. Like these nests, I have a tendency to abandon recipes once I’ve mastered them. And then years later I spend all day wondering where I placed my very brief notes, or spend hours wracking my brain into remembering what ingredient made the last attempt so yummy. Or my husband will request some obscure dish I made years ago and I search both online and in my stash of recipes – only to find the notes weeks, sometimes months later jammed between the pages of a completely unrelated recipe book. Unlike these nests, I abandon difficult knitting, sewing or embroidery projects. I leave them in a clear plastic bag, with pattern, needles, material, etc. and store them in the hopes that someday I will finish. This is a place: this is my recipe keeper, my virtual plastic bag, my reusable nest.